A visit to Hell can be exciting, terrible, awe inspiring. If someone else goes for you. And lives to tell the story. Fred River’s memoir-novel can be uneven, unpolished, at times clumsy. This book is not artful; the author has no intention, no desire, to manipulate his reader. Rivera is your guide, and like Dante’s guide, Virgil, he is an honest, trustworthy guide. He will show you Hell. What you make of it is all up to you. 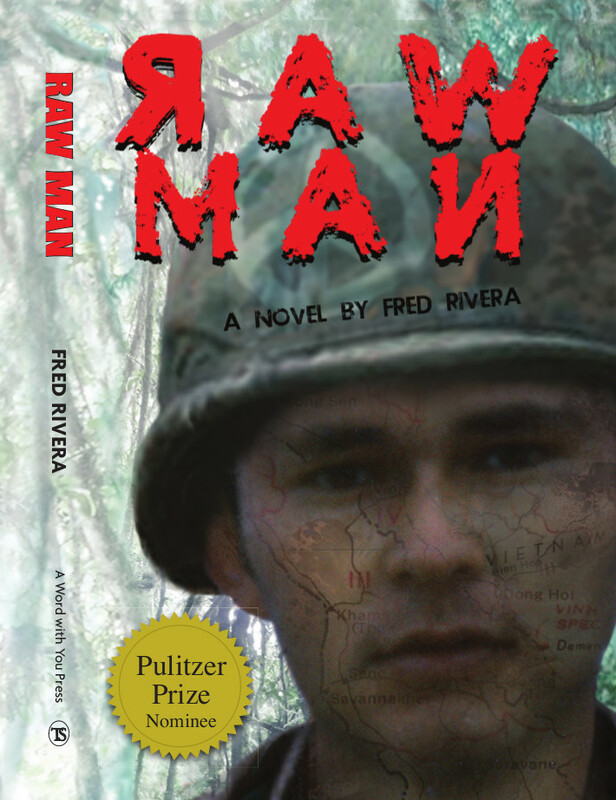 In Fred Rivera’s novel Raw Man which is Nam War spelled backwards, we receive the blunt honest truth about the true cost of what war does to a man, the horrors that survivors faced in the jungles of Viet Nam and after returning home to their PTSD world. More than any book I have considered in this century of fine books, I believe Raw Man is the most important. Raw Man will be gut wrenching I promise you, but lives depend upon it both in resisting the wars of the future, but in getting help for people with PTSD now and those who will return from combat in the future. I ask you to buy this book, read it, share its lessons. There is nothing more important as to the survival of our planet than each other. This story is told through the eyes of a man who, like thousands of fallen soldiers around the world, were robbed of their childhoods, forced to hold guns instead of guitars, and if one got lucky enough like Fred did, he could provide the last few seconds of sanctuary and warmth to those covered in blood, trembling, and dying right before his eyes. I bought the book not knowing if I could actually read about the war in Viet Nam. As I began to read I found that I could not put the book down until I had finished it! Moving the story between his experiences and the letters home made me realize how different everybody experienced that time. After I read the book I ordered several more copies for my siblings and other family members because I felt it needed to be shared with others so they could experience what Freddy and others have gone through. I would recommend this book to anybody that has experienced or known anyone who has experienced war. A heart wrenching memoir on what our military men and women go through. If you want to know why we must take care of our veterans and stop wars this is the book you must read…! If you’ve read the book, please leave a review in the comments below!